Anti-smoking is a SCAM. LIES about HEALTH are STUFFING the COFFERS of Drug Companies, Lawyers, Politicians, and the Anti-smoking Industry. Worldwide, the pharmaceutical industry is attempting to get rid of it’s COMPETITOR, the tobacco industry. How Many Smokers Are There REALLY? DUMPS Bullitt County Health Dept. 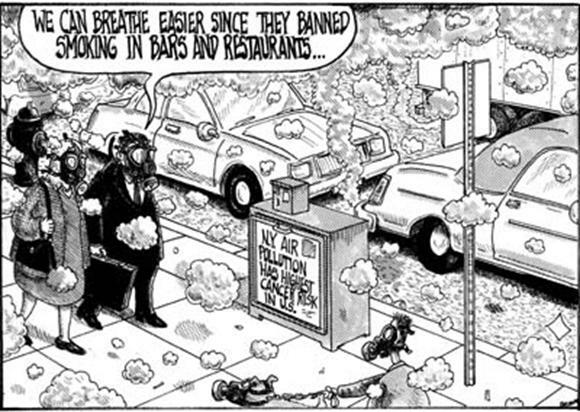 SMOKING BAN!!! 'LEVEL PLAYING FIELD'. STATEWIDE BOYCOTT OF THE ENTIRE STATE OF INDIANA STARTED 7/1/12! 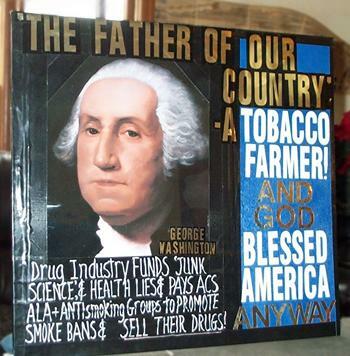 The DRUG industry funds and drives anti-smoking in their attempt to GET RID of their COMPETITOR, the tobacco industry! Please SIGN PETITION to STOP direct advertising of prescription drugs to the public. Fellow smokers, This is URGENT! Smokers are THE MOST TAX ABUSED group of people on the face of the whole earth. 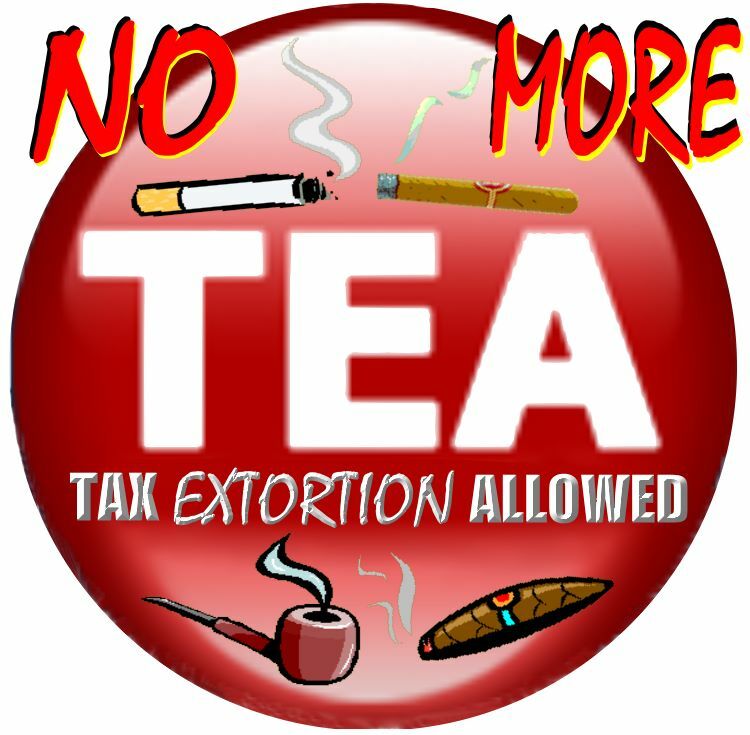 But RIGHT NOW, lots of REGULAR TAXPAYERS are TEA'D off too! 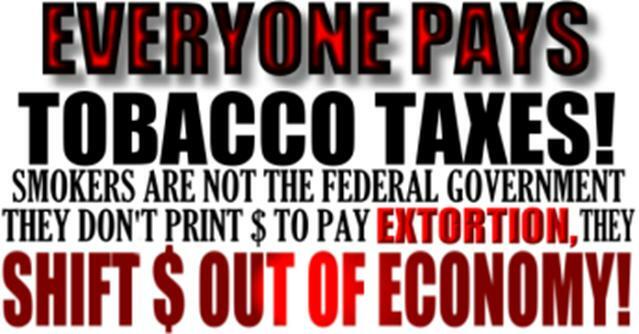 There is a huge uprising going on of ALL taxpayers, not only smokers. NO one has more to complain about taxes than SMOKERS! There is a HUGE movement for tax protests ALL ACROSS the COUNTY. ASP is NOT meant to replace ANY other organization or party, but to simply tie together in one convenient place links to all the info needed to VOTE OUT the antis at EVERY level of government. Our rallying cry is "I smoke, I am angry as Hell, and I WILL vote with a vengeance!!!!" The old 'divide and conquer' techniques of the antis work too well. We MUST ALL UNITE on at least this ONE thing. we MUST VOTE THEM OUT. MUST HELP VOTE THEM IN. 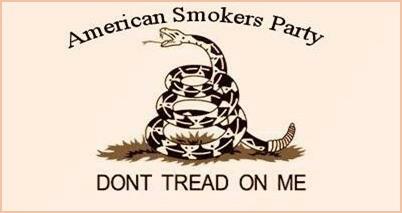 If CANDIDATES WILL NOT sign our 'Friend of Freedom' smoker's pledges, we must KEEP THEM OUT with the BALLOT BOX. WE NEED TO FIND NEW CANDIDATES FRIENDLY TO OUR NEEDS. And it DOES NOT MATTER if one is a democrat or a republican, or an independent! Everyone can do this within THEIR OWN political party. WE MUST MAKE THIS ISSUE A HIGH PRIORITY FOR ALL POLITICIANS. I know there are what seem to be LOTS of FAR more important issues. However, smoking is a DAILY COMFORT issue. Don't know about you all, but HOW I DEAL with ALL THE STRESS caused by all those other issues is by SMOKING. And I ABSOLUTELY DO NOT WANT to replace smoking with the pHARMaceutical alternatives. I WILL NOT GIVE UP SMOKING, so that is a TOP priority for ME. We don’t intend to replace any existing political parties. This is about forming a VOTING BLOCK for OUR ISSUE. There is NO reason, given a block of at least 15% or so of the electorate in any given city, county, or state or federal congressional district, why this won’t work EVERYWHERE. For those who may not know me, I have been in ONGOING REVOLT mode against the Anti-smoking movement ever since "My Last Straw". I have HAD IT UP TO HERE with the anti-smoking Nazis. I am ALL DONE catering to neurotic people. Ever since then, I have been doing EVERYTHING I can think of to oppose them AND their extortion taxes, AND their attempts to remove EVERY BIT of freedom of choice from us. WHEN the day comes that ENOUGH smokers get MAD ENOUGH, and start DOING SOMETHING about it, there is NO WAY we will not win. The anti-smoking movement is based on LIES.